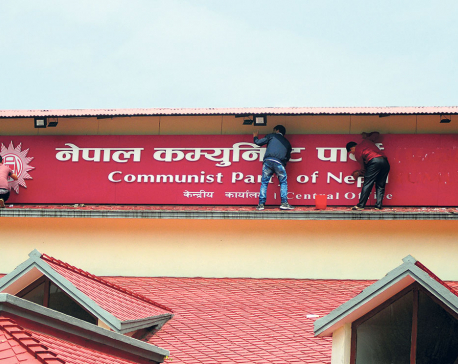 KATHMANDU, April 23: Unification of the Nepal Communist Party (NCP) concluded Monday with the naming of the chiefs and secretaries for the party's 77 district committees. 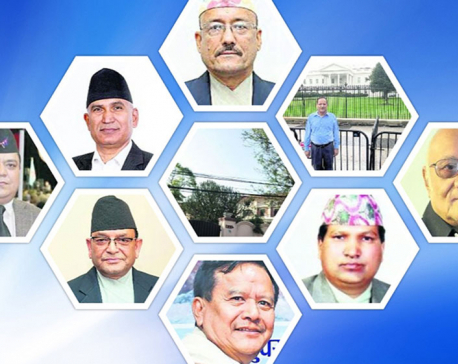 KATHMANDU, April 22: Nearly a year after the announcement of party unification, the top leaders of the ruling Nepal Communist Party (NCP) have finalized the chiefs of the party's lower committees. 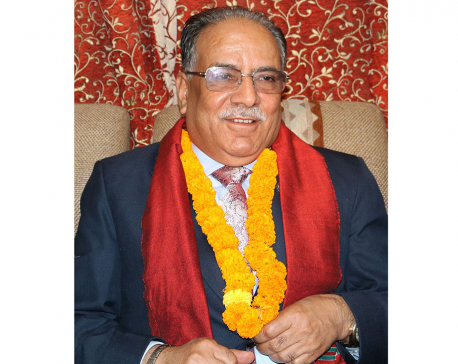 KATHMANDU, April 21: Nepal Communist Party chairperson Pushpa Kamal Dahal on Sunday said party unification process was reaching the final stage. 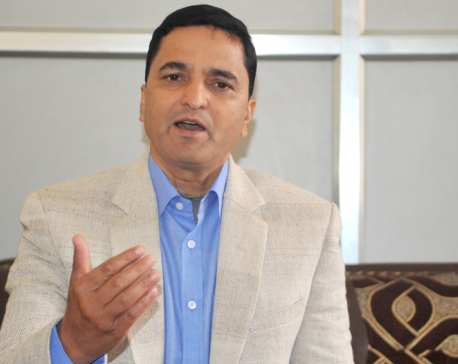 KATHMANDU, March 21: Deputy Prime Minister and Minister for Defense Ishwor Pokhrel has said the Nepal Communist Party ( NCP)’s unification process at local levels was taking more time than expected as a consensus could not be forged for same. 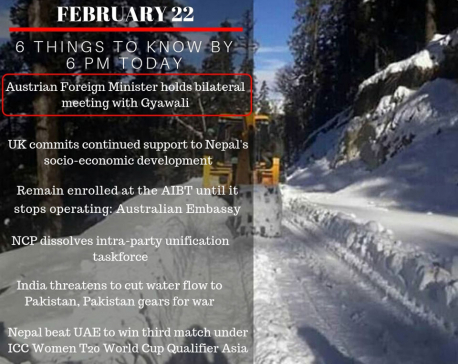 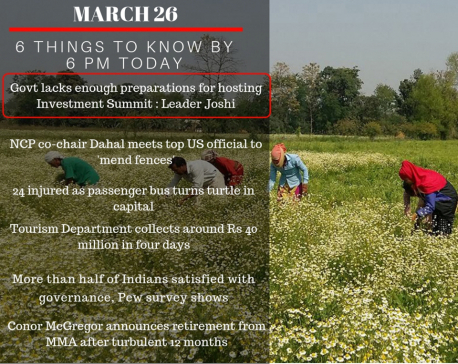 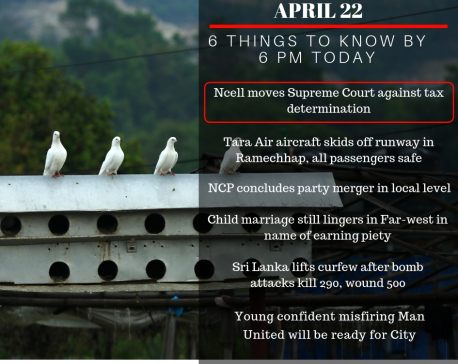 KATHMANDU, March 14: What actually led the Oli-led government to put ban on the activities of the Chand-led Nepal Communist Party? 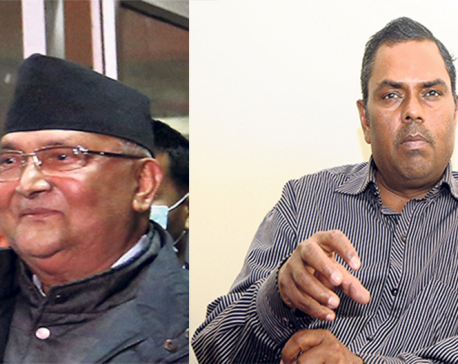 RAUTAHAT, March 9: Top three leaders of the Nepal Communist Party –Chairpersons KP Sharma Oli, Pushpa Kamal Dahal and senior leader Madhav Kumar Nepal have said that they are serious about the development and prosperity of Tarai Madhes. 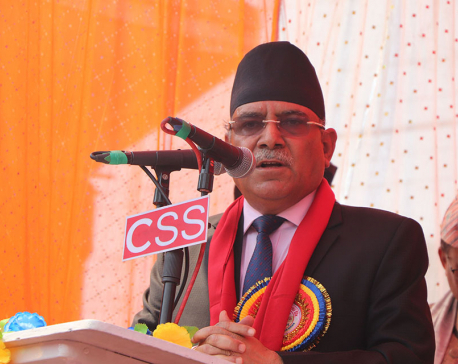 RUPANDEHI, March 9: General Secretary of Nepal Communist Party, Bishnu Poudel, has asserted that the agreement between government and CK Raut has given a message that Nepal has adopted a path of peace and prosperity. 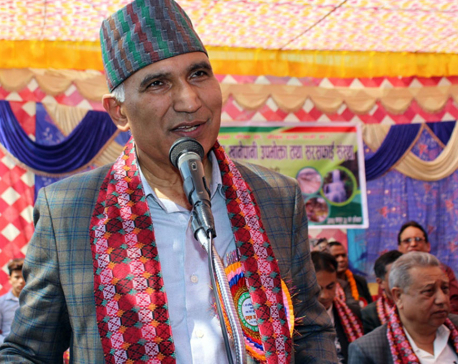 KATHMANDU, March 3: Nepal Communist Party (NCP) leader Bamdev Gautam on Saturday denied 'rumors' that he was considering running in a by-election for the parliamentary seat from Kaski which has fallen vacant with the sudden demise of Tourism, Culture and Civil Aviation Minister Rabindra Adhikari. 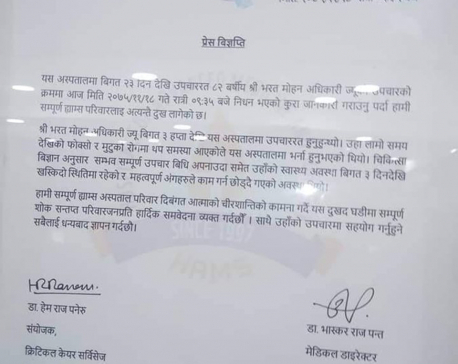 Adhikari’s body will be kept at the central party office of Nepal Communist Party in Dhumbarahi from 9 am to 12 pm for condolence tomorrow, according to status posed by leader Krishna Gopal Shrestha. 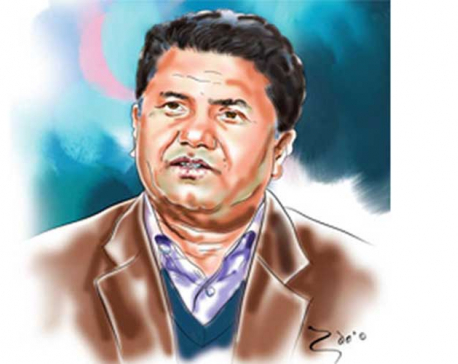 KATHMANDU, Feb 28: Nepal Communist Party (NCP) has decided to hold a tribute ceremony to commemorate late Minister for Culture, Tourism and Civil Aviation Rabindra Adhikari at its central party office, Dhumbarahi on March 7. 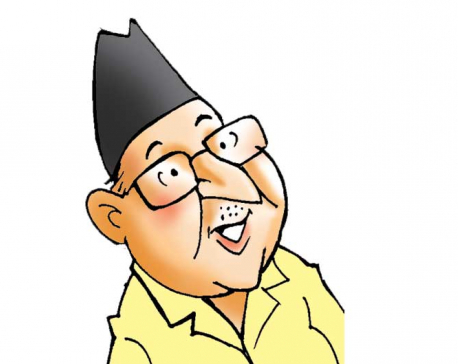 KATHMANDU, Feb 27: Chairpersons of Communist Party of Nepal KP Sharma Oli and Pushpa Kamal Dahal have said that the country has lost a dependable youth leader with abundant possibilities in the demise of Minister for Culture, Tourism and Civil Aviation Rabindra Adhikari. 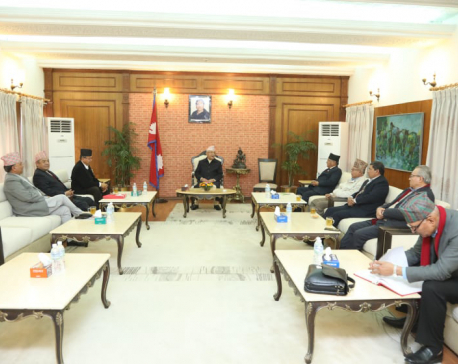 KATHMANDU, Feb 27: After the controversy over National Muslim Commission chairperson nominee Samim Miya Ansari's affiliation with ruling Nepal Communist Party (NCP), the party has written to the Election Commission to withdraw his name from the party's closed list of Proportional Representation (PR) candidates for the House of Representatives. 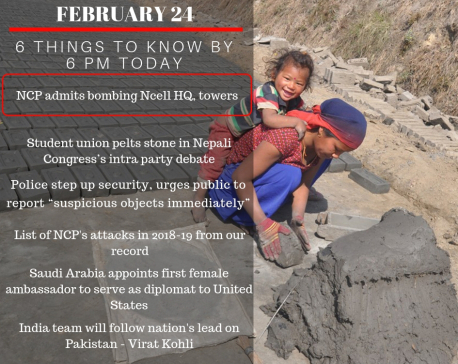 KATHMANDU, Feb 24: The Netra Bikram Chand led Nepal Communist Party has claimed responsibility of the bomb explosion at Ncell's office and 15 towers across the country. 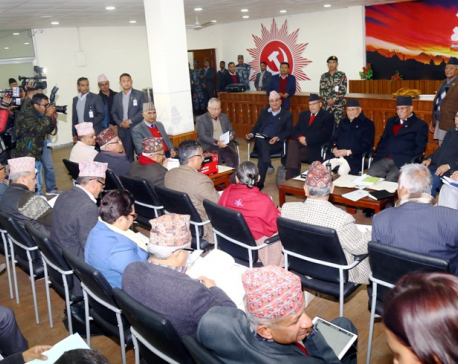 KATHMANDU, Feb 23: The Nepal Communist Party (NCP) on Friday dissolved the taskforce formed to develop a modality for merger of party's lower committee and sister wings, saying that the taskforce had failed to carry out given tasks two and a half months after its formation. 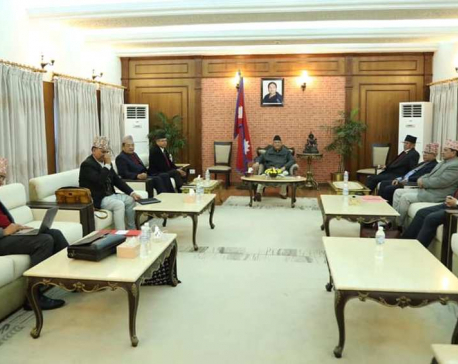 KATHMANDU, Feb 19: Top leaders of the Nepal Communist Party (NCP) have agreed to take a final call on merger of party committees in consultation with the members of the party unification taskforce as three days of internal deliberations to resume the stalled work ended inconclusively. 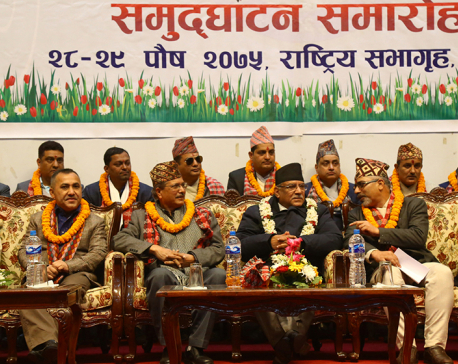 KATHMANDU, Feb 8: Chairman of the ruling Nepal Communist Party, Pushpa Kamal Dahal, has cautioned that the government's failure to fully implement the constitution and the Comprehensive Peace Accord (CPA) could invite fresh round conflict, much graver than the 10-year insurgency. 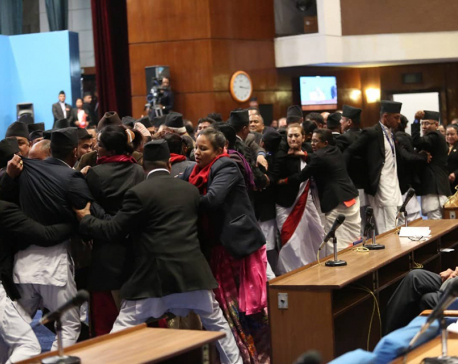 Why did Nepal Communist Party have to spew venoms on America while even Russia and China, the countries the US considers as arch-rivals, even enemies, were responding so cautiously? 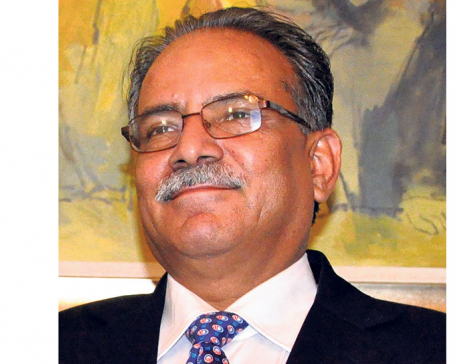 Nepalis started googling Venezuela soon after Pushpa Kamal Dahal ‘Prachanda,’ chairman of Nepal Communist Party (NCP), issued a statement on January 25 sharply criticizing America’s “imperialist intervention” in that country. 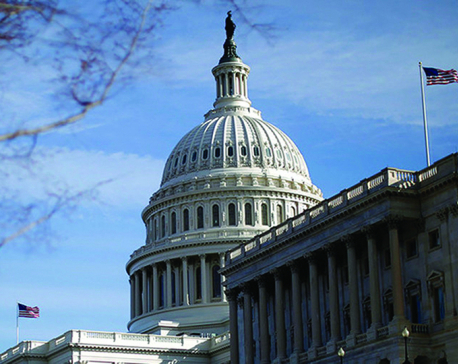 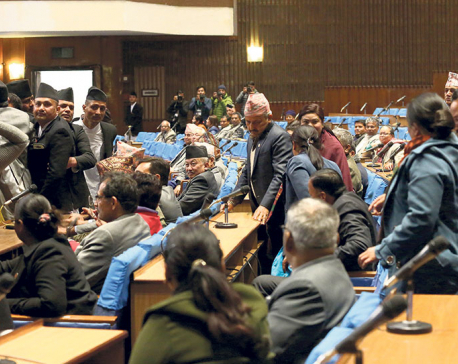 KATHMANDU, Feb 4: The controversy surrounding the statements issued earlier by the ruling Nepal Communist Party (NCP) Chairman Pushpa Kamal Dahal and the government on the ongoing political crisis in Venezuela has left the country's two major political parties in parliament sharply divided. 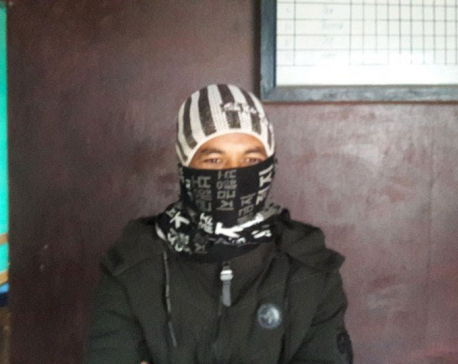 MORANG, Jan 31: Police have arrested Narendra Bishwokarma, son of Khadga Bahadur Bishwokarma, spokesperson of Chand-led Nepal Communist Party has been arrested with three rounds of bullets from Biratanagar Airport on Thursday evening. 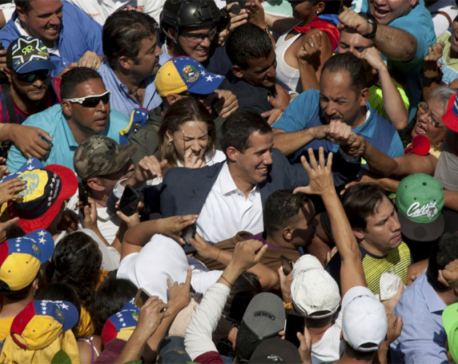 KATHMANDU, Jan 26: Joining a few other major countries including China and Russia in support of President Nicolas Maduro of Venezuela, ruling Nepal Communist Party (NCP) on Friday slammed the US and its allies over what it called an “intervention in the internal affairs” of Venezuela. 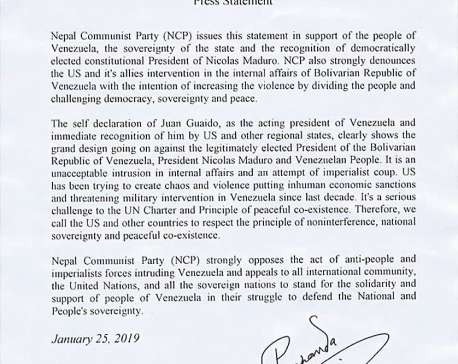 KATHMANDU, Jan 25: The Nepal Communist Party (NCP) has strongly denounced the US and its allies’ intervention in the internal affairs of Bolivarian Republic of Venezuela, accusing them of increasing violence by dividing the people and challenging democracy, sovereignty and peace. 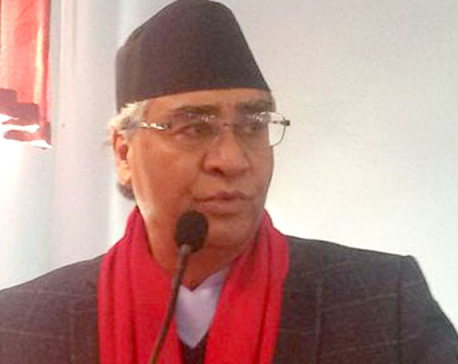 LAMJUNG, Jan 21: Nepali Congress (NC) President Sher Bahadur Deuba has blamed the incumbent government for weakening the democracy by infringing on the press freedom. 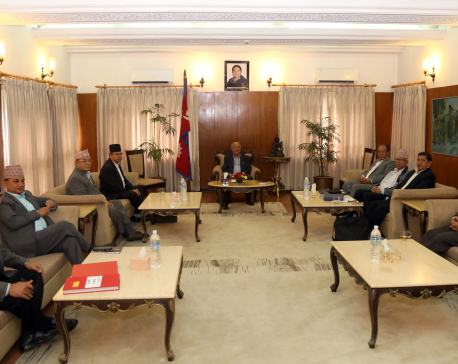 KATHMANDU, Jan 15: An intra-party task force formed by the ruling Nepal Communist Party (NCP) to resolve the disputes surfaced in the party and take forward the stalled unification process has failed to accomplish the given task within the given deadline. 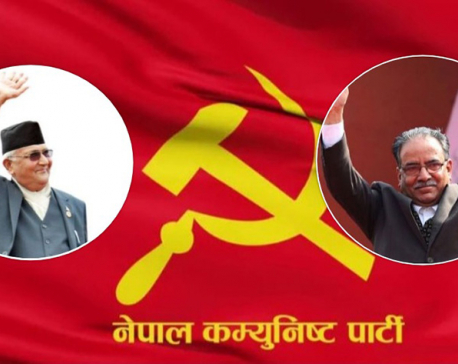 KATHMANDU, Jan12: Nepal Communist Party (NCP)'s chair Pushpa Kamal Dahal has pledged to do his best (on his behalf) to formulate a national book policy and bring it into practice effectively. 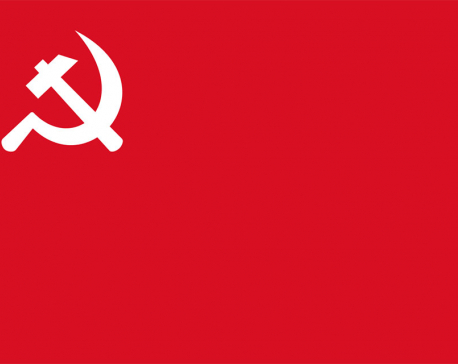 KATHMANDU, Jan 8: With less than two months left for the election of the Free Students Union (FSU) to take place, the merger of the student unions of the ruling Nepal Communist Party (NCP) is still uncertain. 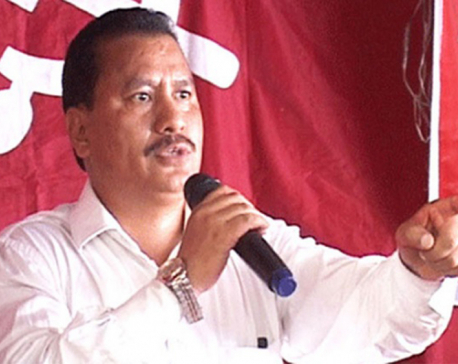 ROLPA, Jan 7: Police have arrested a cadre of Nepal Communist Party led by Netra Bikram Chand on the charge of extortion on Monday. 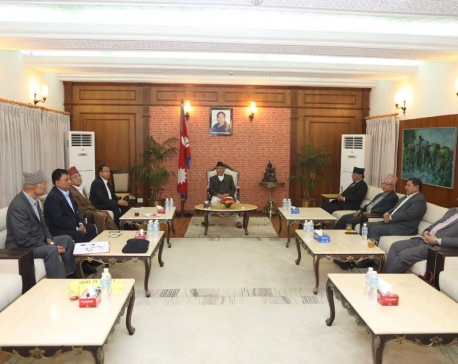 CHITWAN, Jan 4: Chief Minister of Province-3, Dormani Poudel, has appointed Nepal Communist Party (NCP) leader Jagannath Thapaliya as his chief political adviser. 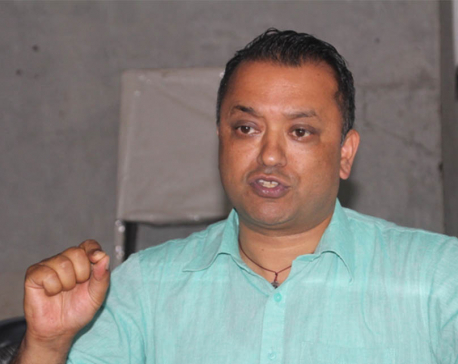 KATHMANDU, Dec 31: Nepali Congress Lawmaker Gagan Thapa has asserted that the Nepal Communist Party (NCP) may face a debacle at any time in the days ahead as it is being headed by two chairpersons with two dissimilar views.